Newcastle have been named the North East's greatest sporting city, according to an ESPN and University of Bath study. Newcastle is a greater sporting city than Sunderland, according to research from ESPN and the Univerisity of Bath. ESPN teamed up with the university to produce annual research to rank cities on factors such as transport, local talent, community, social, success, matchday atmosphere, history and value for money in order to discover where's best to live in the UK as a sports fans - and have decided Newcastle is the best in the North East. 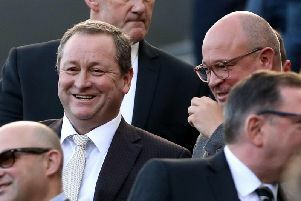 Newcastle (15th) did however, drop seven rankings from last year while Sunderland (18th) has risen six places despite the pair's two high profile football clubs competing two leagues a part. It wasn't great reading for Middlesbrough (47th).The city scored poorly in several factors, including 48th in value for money – a factor that fans consistently rate as one of the most important elements of a great sporting city. “Newcastle and Sunderland have ended up just three places apart in ESPN’s Greatest Sporting Cities this year, despite their football teams’ contrasting fortunes," said Steven Saunders, Senior Editor at ESPN.co.uk. Nationally, Manchester topped the rankings - replacing Liverpool, who dropped to second. At the other end of the table, Swansea were ranked bottom. Blackburn were the highest movers - moving 25 places to eighth - while Doncaster dropped the most positions from from 10th to 27th. The study revealed the north of the UK continues to dominate the top of the list with four of the top five, and eight northern cities listed in the top ten. Full results and methodological details for the research are available here.